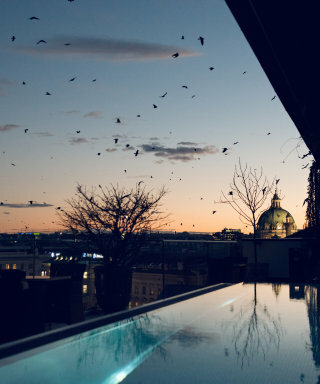 A view of Vienna like nowhere else and like never before. In a bikini or swim trunks. 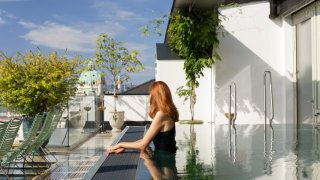 In the outdoor rooftop pool of the "Grand Ferdinand". 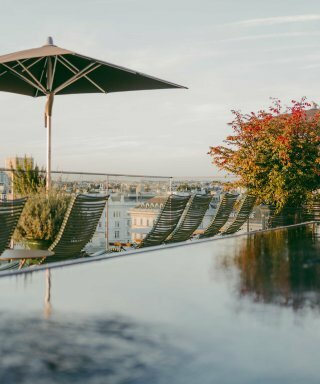 What better way to enjoy a visit to Vienna on a warm summer's day: on our "Grand Étage" at the pool with 23° water temperature. Framed by historic architecture. Bathrobe, towel and slippers are available for you.